Saturday 18 February 2017 commenced with the last event of the Dunoon Hill Runners 2016-17 league series, the Handicap Race. Start times were allocated appropriate to each runner based on their season’s performance, and competitors set off chasing each other down on a damp and muddy Glenkin 5K route. First across the finish line was Bryan Fitzpatrick, followed by Lucie Shaw. Later that day, the AGM and prizegiving were once again held at the Kirn and Hunters Quay Bowling Club. 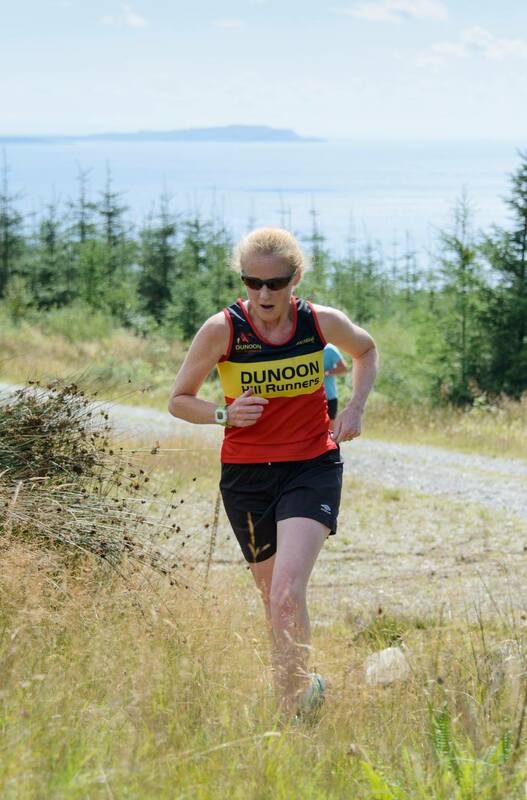 Dunoon Hill Runners Chairman, Ian Marshall, reviewed another successful year, with members continuing to represent the club in both local and national events. Two new committee members were voted into the positions of Secretary and Race Organisation Officer. 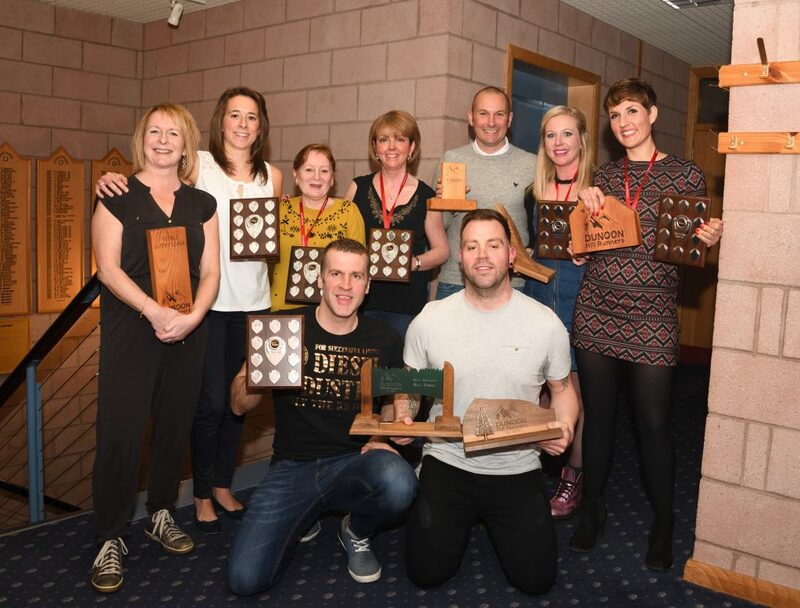 The prizegiving came next and included 2 handsome new trophies hand made by Dunoon Grammar School students, Isaac Lines and Elizabeth Stirling. 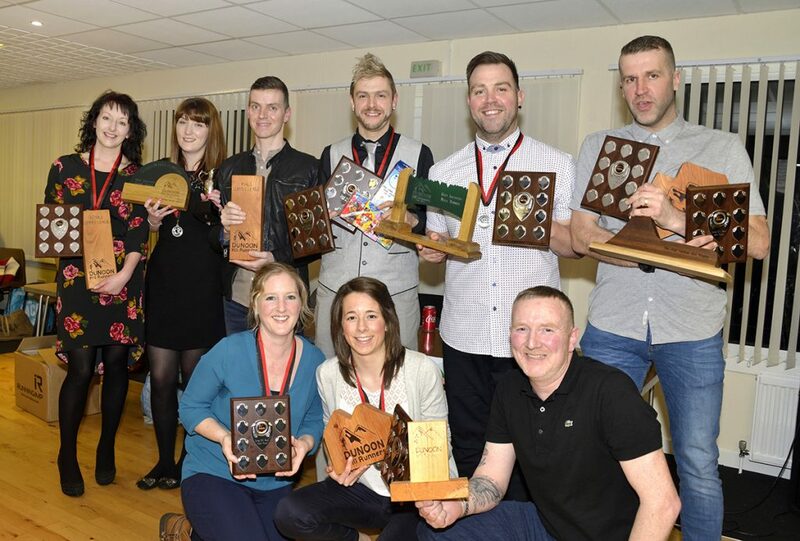 In addition to the official shields and trophies, some light-hearted recognition was given to specific members for their outstanding contributions in the fields of swearing, sob story-telling, weight loss, animal rescue and a special award for heroic efforts in under-training. Medals were also presented to all members who participated in at least 3 league events. L to R back: Morven Walsh, Lucie Shaw, Roger Stewart, Grant Mackellar, Bryan Fitzpatrick, Ricky Reid. The DHR 2016 AGM and Prizegiving was held on Saturday 27 February at Kirn and Hunters Quay Bowling Club and was very well attended by both existing and new members. Proceedings commenced with the AGM, the minutes of which can be found here [PDF]. Medals were presented to all members who had participated in at least two 2015 Summer Series events, and a special commendation was given to Isla Witherow for being the only member to participate in all 6 events. Saturday 20 February 2016 – Royal Botanic Gardens, Benmore at 9 am. Vertical K sprint. Tea, coffee and cakes afterwards. Saturday 27 February 2016 – Glenkin at 9 am. Club Handicap race. The final sprint for glory! 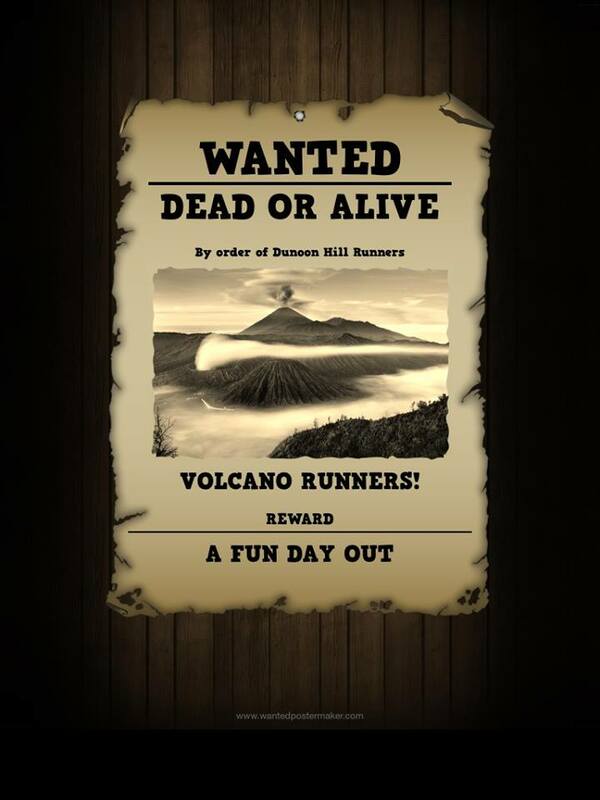 Dunoon Hill Runners is delighted to announce that on 8 August 2015, the second Annual Volcano Run and second Summer Series race will be held, sponsored by J Mundell & Son. This is approximately a 5k and 10k run. Starting from Toward Farm the run will take you up on to an extinct volcano, Buaicheileann, whereupon after reaching the peak at 400 metres you will quickly descend back to Toward Farm. The 5k run for juniors (under 18s) and 10k run for seniors (18-pre-historic) will begin at 1 pm. All runners are strongly advised to wear suitable trainers for fell running. Marshals will be on the course for your own safety. Further details of race rules will be posted up soon. Trophies for 1st placed Male Senior, Male Vet, Female Senior, Female Vet and Junior runners. All runners completing the course will put their race number in a bucket and the numbers pulled out will win a prize! All attending can also expect a BBQ/food. This is aimed at a fun family day out for all involved or keen to be involved with Dunoon Hill Runners. It is a BYOB event, alcoholic or soft drinks permitted. First Burger/Hot Dog included in price and table food. Other burgers priced at £1 members £ 1.50 non members. Payable on or before 3 August 2015. Payment on the day may be available however there are a limited number of places so, to guarantee your place, early payment is encouraged. 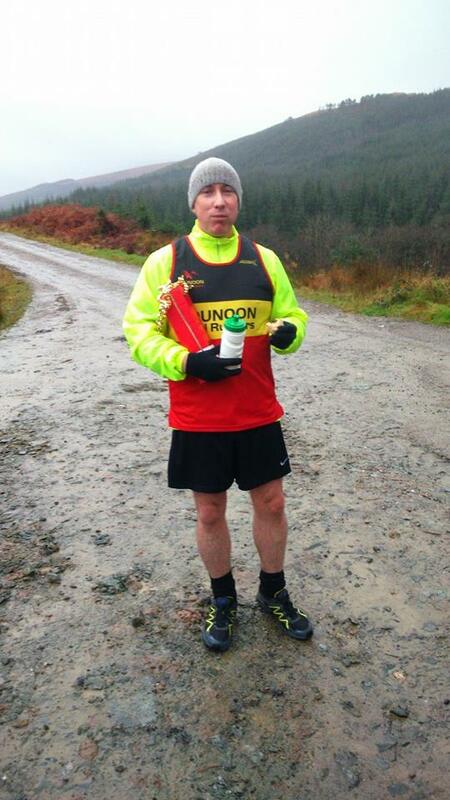 Payment can be made by Paypal or cash/cheque payable to Dunoon Hill Runners (email DHR Chairman for details). If anyone is interested in using a coach for transport picking up in Dunoon (possibly Sandbank) and returning in the evening, please let the DHR Chairman know. For a nominal fee this may be possible to be organised. 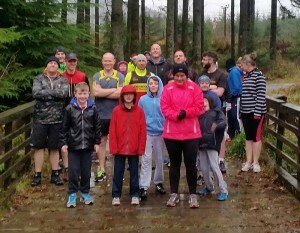 Stretching the limits of the title of “Summer League”, a crowd of Dunoon Hill Runners braved the very non-summery freezing rain for the final, handicap race of the 2014 season on Saturday 6 December. The course had been marked out in Glenkin and started with an uphill push on the trail that’s well-known to most DHR folks, before taking a sharp left into less familiar, and somewhat wilder, enjoyably hilly terrain. Being a handicap race, runners set out at individual times which were based on their previous season’s performance (these had been carefully worked out by DHR committee members using advanced mathematical skills and a calculator). Inevitably, some runners were “caught” by others who had set out after them and hunted them down, but good-natured camaraderie prevailed. Competitors had been warned at the start to anticipate slippery conditions underfoot, but everyone made it back with no stumbles to report and full dignity intact. Unfortunately, the persistent rain curtailed socialising afterwards, however, thanks go to Morven, Kirsty and Lynda for thrusting baked goodies into the hands of grateful runners. 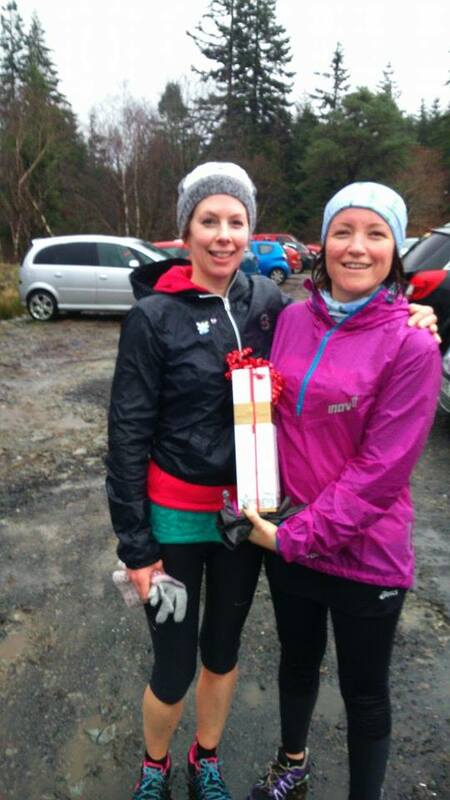 Thanks also go to Kenny and Ian for organising, and to Morven and Emma for marshalling. 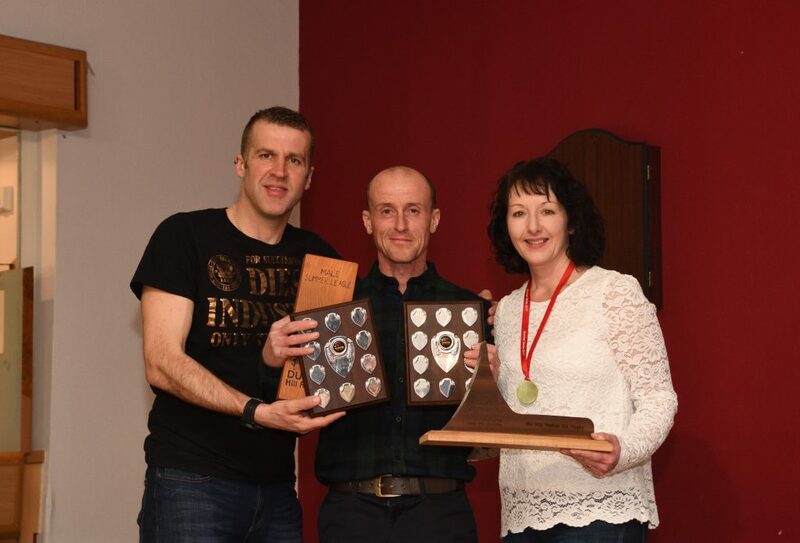 Congratulations go to first male, John Colquhoun, and joint first females, Claire McFadden and Suzanne Longster. DHR is pleased to release the final results of the Summer League 2014 [.xls file]. A big “well done!” goes to overall winner, Lisa Marshall. 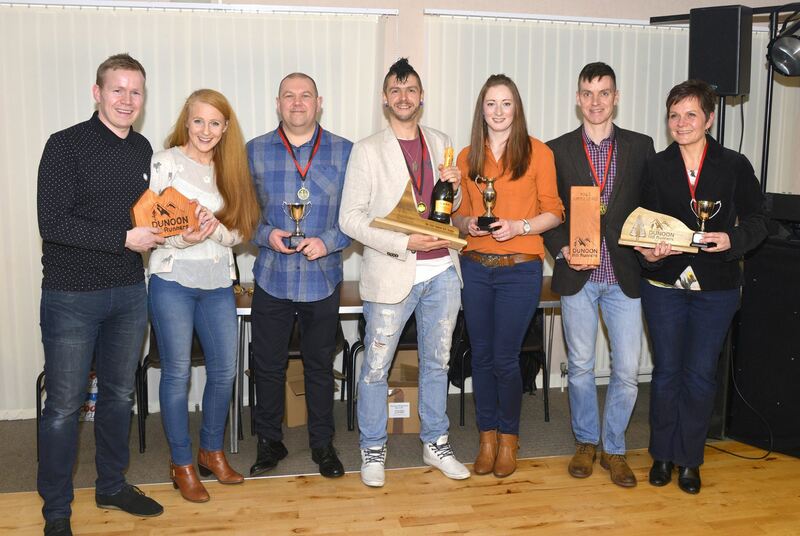 Congratulations to all who have taken part and made this year such a tremendous success!